Belmont University students held their third annual fundraiser for St. Jude Children’s Research Hospital this weekend—and they set their monetary goals high. 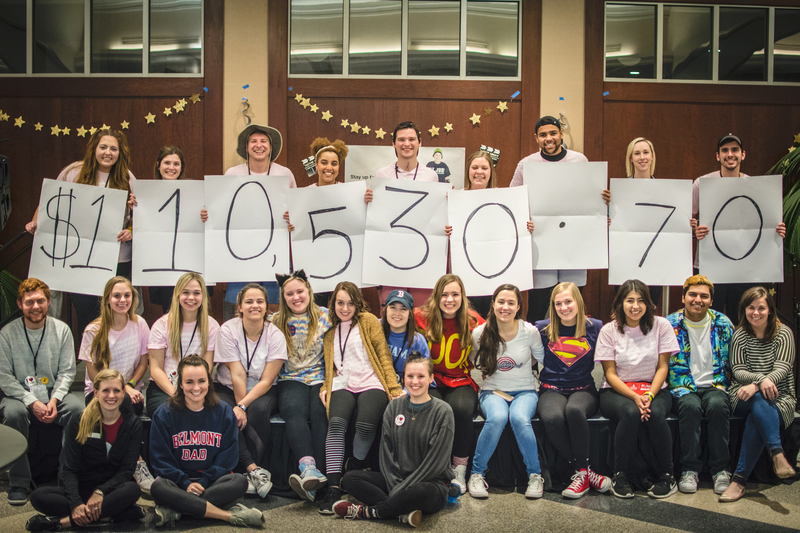 Hoping to raise $100,000 to support research efforts for childhood cancer, the student organization “Up ‘Til Dawn” hosted a 24-hour event that included games, inflatables, a silent disco and other activities designed to keep participants awake. Additionally, teams competed against each other in a series of challenges designed to educate students about the hospital. Around 5:30 a.m., the group announced that the fundraiser had collected a total of $110,530.70. Last year’s event raised around $85,000 and the 2015 event raised $47,000, bringing the total amount of money raised by Belmont students to around $242,000 in just the last three years. Up ‘Til Dawn is an event implemented on 60 college campuses across the country to aid St. Jude in its mission “to advance cures, and means of prevention, for pediatric catastrophic diseases through research and treatment.” Thanks to the vision of St. Jude founder Danny Thomas, an inductee in the Tennessee Health Care Hall of Fame, no child is denied treatment at St. Jude based on race, religion or a family’s ability to pay. The hospital has the world’s best survival rates for the most aggressive childhood cancers, and treatments invented at St. Jude have helped push the overall childhood cancer survival rate from 20 percent to 80 percent since it opened more than 50 years ago. Images provided by Chandler Bado.